A fire swept through one of California’s premier cannabis cultivation facilities in the agricultural Salinas Valley, destroying several greenhouses and a large quantity of product. Authorities say an investigation is underway. But the timing of the blaze does raise eyebrows — it started at exactly 4:20 pm. On July 23, the burgeoning cannabis cultivation industry in a small town on California’s Central Coast was rocked by a greenhouse fire that sent flames shooting high into the air and a thick plume of black smoke billowing to the sky. The greenhouses belonged to Loudpack Farms — the flagship facility in Greenfield, California’s fast-growing cannabis sector and producer of some of California’s top-rated connoisseur cannabis products. It was hours before the town’s fire department was able to bring it completely under control. The fire departments from the nearby towns of Soledad and King City were also mobilized to the scene. The blaze apparently started outside one of several greenhouses at the site and rapidly spread, ultimately consuming or damaging at least a dozen. “The winds pushed it through the greenhouse structures very, very quickly,” a Greenfield fire department spokesman told local TV outlet KSBW. A Monterey Herald report indicates all the greenhouses at the facility were destroyed. The facility apparently had no sprinkler system. Town authorities say the fire is under investigation. KSBW, Monterey Herald and other media reported that the fire broke out at 4:20 p.m., without commenting on the possible significance of this time. There are no requirements for cultivators to obtain insurance under the new proposed permanent cannabis regulations from the California Department of Food and Agriculture, the state department which oversees cannabis cultivation. 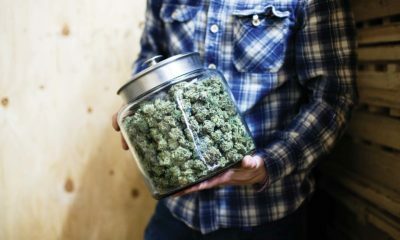 Only cannabis distribution license-holders must obtain insurance, and the state is working to build avenues for those companies to get quality insurance policies. It’s unclear if Loudpack Farms had any crop insurance, though it is unlikely they did, given the many barriers cannabis companies face toward getting good insurance. More than 300 people work at Loudpack Farms, which earlier this year became Greenfield’s largest employer. All employees on site at the time of the blaze were evacuated, and no injuries were reported, according to KSBW. Loudpack said in a statement that the fire will “absolutely not” affect employment at the facility. “We invest in our people. We will rebuild our facility and no one should feel that their job is at risk due to these unfortunate circumstances,” said the statement e-mailed to KSBW. Loudpack Farms is both the first and largest facility in Greenfield’s burgeoning cannabis industry. In April, the city announced the company had become Greenfield’s single largest employer, Monterey County Weekly reports. The facility is actually located just around the corner from Greenfield City Hall, and is one of 11 cannabis businesses now operating in the town. Municipal officials are betting on cannabis for the town’s economic future, with some $1.7 million in tax revenue from the industry projected for this year. The blaze comes as fire season is starting in California. Wildfires this week have shut down Yosemite National Park, and closed Highway 299 through the Trinity Alps. But the official map shows that the nearest wildfire to Greenfield is in San Luis Obispo County, some 70 miles to the south. Last year’s fire season took a toll on cannabis cultivation in California, primarily in Napa and Sonoma counties. The Greenfield blaze, however, seems unrelated to any wildfires. Cannabis industry website Leafly notes that Loudpack shared the facility with DNA Genetics, a cannabis seed company founded in the Netherlands over a decade ago. The facility’s especially fragrant varieties won it the moniker “Terp Town” — for the natural chemical terpenes that produce the fragrances. Strains and extracts produced at the facility have won various awards. Loudpack’s “Jack” strain scored second place for best sativa flower in the 2017 World Cannabis Cup in Jamaica. It also won first place for best CBD cartridge in this year’s SoCal Cannabis Cup, held in April in San Bernardino. TELL US, do you think cannabis companies should have access to quality insurance? Of course they should have access to quality insurance, like other businesses. And not just for the larger companies! We need to lower the super-high taxes cannabis growers have undertaken to get this industry legalized. This needs to be re-voted before towns like Greenfield get too used to all this revenue. I hope mom-and-pops can compete! Bill, thank you for your story and our hearts go out to the Loudpack Farm’s team. It was a tough day, but if they were insured correctly they’ll bounce back in no time. Thank leads me to your statement, “It’s unclear if Loudpack Farms had any crop insurance, though it is unlikely they did, given the many barriers cannabis companies face toward getting good insurance.” This is simply untrue and has been for several years. There are, in fact, several options available for insuring the cannabis industry, all very competitive and inline with normal business operating expense. If insured correctly, Loudpack would have had the greenhouses, equipement, crop and business interuption covered. The are outstanding cannabis trained agents all over California, Colorada, Washington, Oregon, Nevada, every state where adult use and medical cannabis/hemp is available. I’m available for more indepth discussion for a future article and to answer your questions around the insurance industry and cannabis. Thank you. Most definitely Cannibus businesses should be protected by Insurance and the first companies that come up with the right deals are going to make a killing. Its a business that produces products, employees people, lots of people, and contributes to the economy through taxes and the people who work for the companies in the spending of wages in their towns. Really, now a lot a states are legalising mariquana, it’s a no brainer for Insurance business, if you want to make lots of money, be the first to start insuring !